Nike Concepts x Nike SB Dunk Low Pro OG QS "Purple Lobster"
A spin-off of the original "Lobster" design, the Concepts x Nike SB Dunk Low "Purple Lobster" is dressed in a purple hue upper with a white tongue and laces to complement the look. Additional details include a purple bib-inspired design on the sock liner. Release date is Dec. 14, 2018 at a retail price of $130. 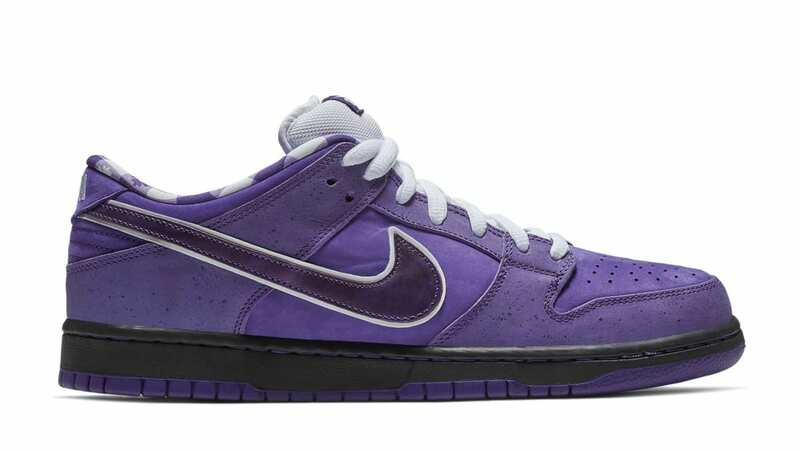 News Concepts x Nike SB Dunk Low Pro OG QS "Purple Lobster"